Are you an Xbox One and/or Windows 10 gamer who has yet to jump in to the Gears of War 4 experience? Well good news - you can now download a 10 Hour Trial version of Gears of War 4 for free! Experience the opening Act of the next chapter in the Gears of War saga! Battle through past moments from the deep history of Gears of War in 'Prologue', then enter the present day with JD Fenix - son of Marcus Fenix - with friends Kait and Del as they set out to discover the source of a monstrous new enemy. The 6 chapters on offer last multiple hours packed with rich Gears of War gameplay - and if you decide to purchase the game, you can continue the story to it's epic conclusion right where you left off. Team up with four others, choose your Combat Class, level up your Skills and deploy fortifications to survive 50 waves of chaos. Horde is all about playing your way - pick a Class and Skills that suit you, build your base to your style, then fight with friends to survive waves of enemies and epic bosses. The full Horde experience is present in the trial, including our huge Horde expansion - Rise of the Horde. Take on other players across nine different and accessible Multiplayer Gametypes that reward Social and Competitive players alive. Experience fast fluid action with 60FPS* gameplay on Dedicated Servers, with full access to the Versus Experience during your Trial. New to Gears of War Versus? Jump into Co-Op vs Bots to learn the mechanics of Multiplayer against AI with friends or other players. Everything you earn in the Trial is yours forever – including achievements, Cards and Campaign progression. Read on for new rewards we've introduced for new players, tips for getting started and FAQs. In Gears of War 4, new content that you acquire in the game comes in the form of Cards. 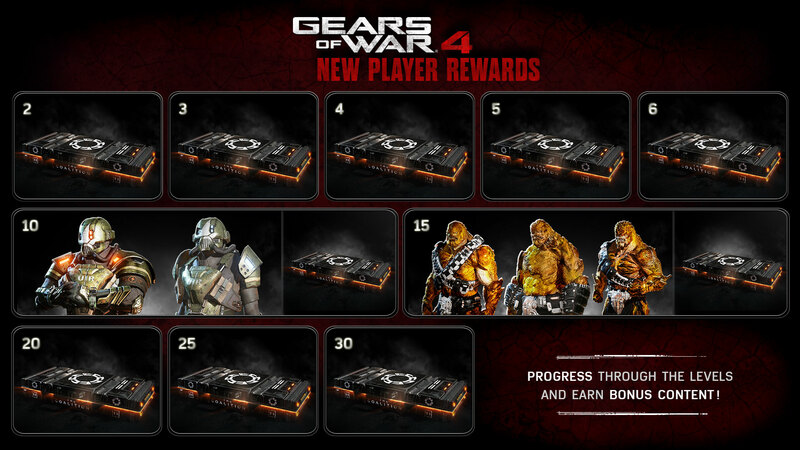 Simply put, Cards are the new way to unlock new customization content in Gears of War 4 that represent a variety of items - from player customization, to Horde equipment and abilities, and Bounties that task players with completing challenges for added rewards. The way you acquire Cards is through Gear Packs. These packs contain a number of cards - usually randomized – that provide you with a variety of unlocks based on the theme of the Gear Pack. Gear Packs can be purchased with Credits, the in-game currency earned by simply playing the game Versus or Horde online. To start you off, you'll have one of each Gear Pack waiting for you in-game! Simply head to the Store in the main menu to open your free Gear Packs, and discover new Packs to spend your Credits on! 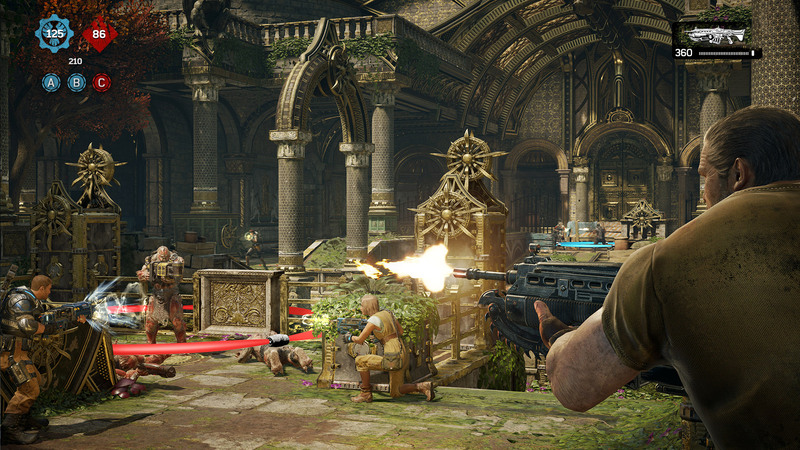 In Gears of War 4 Horde Mode, players can choose Classes. Classes offer unique in-game benefits in the form of Skills, which provide abilities that you can equip that do everything from making you stronger to making fortifications cheaper. Equip different classes and skills to find the combination that best suits your playstyle. Engineer: Building and repairing fortifications is the Engineer's primary responsibility. Heavy: With bonuses to Turrets, Explosives and Heavy Weapons, the Heavy specializes in doing big damage. Scout: Scouts are active on the battlefield gathering Power. All Power picked up by a Scout during combat is doubled. Sniper: Snipers support their team with high damage headshots. Soldier: A great starting Class that gets damage boosts to basic weapons like the Lancer and bonuses while in Cover. Know Your Class: Before heading into battle, take some time to look at each of the Class Descriptions listed above. Each Class has specific Skills or traits that make them suited to a specific role, so find one that suits your playstyle before you get started. Equip Your Skills: Horde Skills provide unique benefits specific to each Class, collected in the form of Cards. Pick a Skill that suits you and equip it before the match starts to take it into battle. Build Your Base: When you start the game, you'll pick up a device called the Fabricator. Move it to a defensible area that you want to build your base in, then place it. The Fabricator will construct you Fortifications, which provide defenses like Sentry Guns, Turrets and Barriers to help you survive. If you have an Engineer on your team, they get benefits like cheaper Fortifications - try to let them build whenever possible. Deposit Power: A key part of Horde is picking up Power on the battlefield and depositing it in your Fabricator (by walking up to it with your character). Power looks like a golden beam of light on the floor, dropped after killing enemies. Keep an eye on your Power in the top left of the screen and deposit it whenever you can. If you have a Scout on your team, try to avoid picking up Power and leaving it for them - their Double Power pickup bonus and Deposit Bonus Skill makes them more effective at stockpiling Power for your team. Leaving one enemy alive at the end of a Wave to give your Scout time to pick up remaining Power with their Double Power combat pickup bonus is an effective way to earn Power fast. Prepare for Boss Waves: Boss Waves occur at every 10 waves, up to the final wave at Wave 50. These Waves include a massive boss to take on, from the flying Kestrel helicopter to the fearsome player-stealing Snatcher. Make sure you build as many damage supporting Fortifications - like Turrets and Sentries - as well as barriers for the best chance of surviving the Wave. Level Up Your Classes: As you play, you'll earn XP towards your Class Level. As you level up your Class by playing as that specific Class, you'll unlock more slots to equip Skills in to make you even stronger - if a difficulty is proving too tough for you now, it may not when you have a higher level Class. Level Up Your Skills: Horde Skills can be levelled up by acquiring duplicate versions of Cards through Gear Packs. Once you have enough Duplicates to level up, you'll be able to Upgrade Your Skill through the Class Skills screen. Horde Booster Packs are a cheap and effective way to build your collection of Horde Skills fast! Need a Squad? Try Looking For Group: While Matchmaking is a great way to jump right into the experience, Horde is always best played with a communicating squad with similar goals. Find like-minded players or mentors through the Xbox Looking for Group feature in the Gears of War 4 Game Hub! Versus is a 5v5 Player vs Player experience, with a variety of game modes to jump into ranging from casual to top level competitive play. 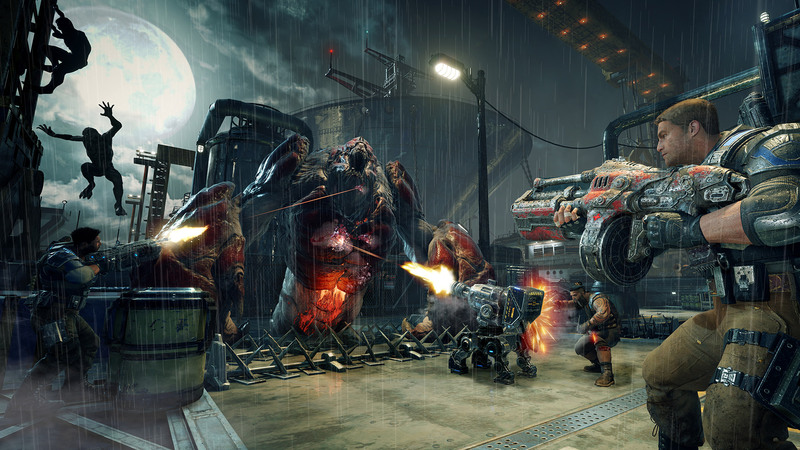 Co-Op Vs Bots: If you are new to Gears of War Versus, Co-Op vs Bots is a safe way to learn the general mechanics, weapons and maps on offer in Versus without the pressure of fighting other players. As you get more confident, you can progress through the four difficulty levels until you feel ready to dive in to the Player vs Player experience. Social Quickplay: Social Quickplay is a great starting point for Versus players. Social features a variety of game modes and maps in one playlist, with quick rolling lobbies allowing you to vote on what to play next. 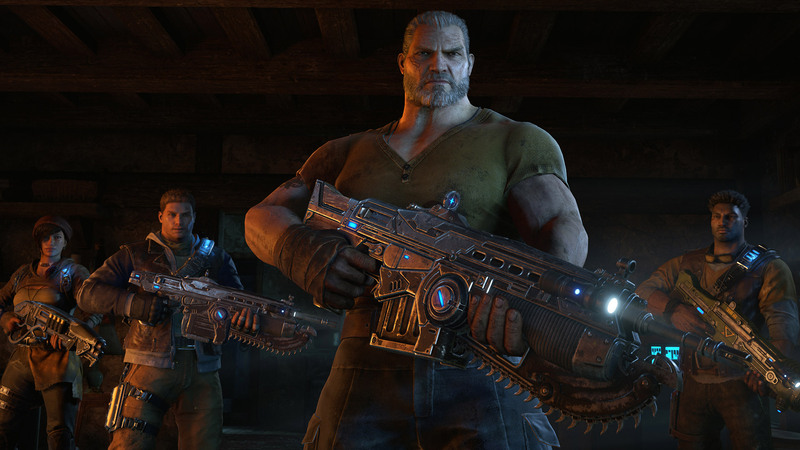 The Gnasher Is King: In Gears of War Versus, most gameplay revolves around the Gnasher Shotgun. Most kills from players will be from using this weapon up close to 'gib' (an instant kill) by hipfiring or using the left trigger at medium distance. Co-Op vs Bots is a great way to warm up your hipfiring, which involves shooting without aiming using the left trigger, and learn a core mechanic at the heart of Gears of War Versus. Know Your Starting Weapon: In most Versus modes, you start the game with the option to select your starting weapons. The Lancer is a great all round option for new players, while the Hammerburst suits precision long range players. As mentioned above, the Gnasher is usually in most loadouts but the Enforcer is a great option for a powerful-close range rifle to counter Gnasher players - though be wary of it's small clip. Play Your Way: While much of the combat in Gears of War Versus is based on getting close-quarters with the Gnasher, there are plenty of viable playstyles if Gnasher play doesn't work for you. Supporting team mates with rifles at a distance is extremely effective in most modes, especially objective based ones like King of the Hill, and can make the difference between winning and losing. If you want to focus most of your gameplay around using ranged weapons, try to catch out opponents in the open moving from cover to cover to be most effective. Learn The Power Weapons: Gears of War 4 Versus has weapons placed at specific points on each map known as Power Weapons. These weapons provide different combat options on the battlefield - from the high damage explosive Boomshot to the area of denial Shock Grenades. Arms Race and Co-Op vs Bots are two great ways to get used to each of the weapons on offer in a safer environment, allowing you to make the most of them when you use them in other game modes. Wallbouncing: During gameplay, you may see players sliding from cover to cover, bouncing off each piece as they use their Gnasher. This is a mechanic called Wallbouncing, which involves cover sliding around the environment to make yourself a tougher target to hit. This is a core mechanic of Versus gameplay but considered an advanced move - focus on dealing with Wallbouncing foes from a more static position before progressing into Wallbouncing yourself. What platforms is the Game Trial available on? The Gears of War 4 Game Trial is available on Xbox One via the Xbox Marketplace and Windows 10 via the Windows Store. For Windows Users, you must be updated to the Windows 10 Creators Update to play. 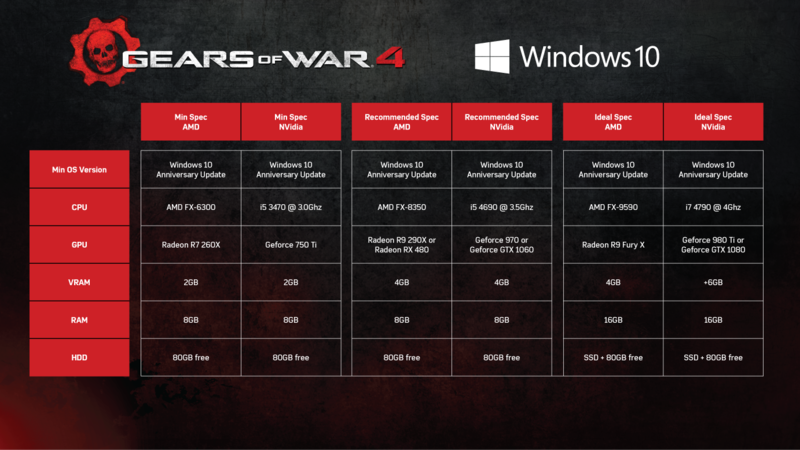 How much Hard Drive space do I need to install the Gears of War 4 Game Trial? Xbox One requires 78.5GB of space available to install, with Windows 10 requiring 93GB of space available. Is the Game Trial available in my region? The Gears of War 4 Game Trial is available in all Xbox Live supported territories, except China. Do I need Xbox Live Gold? On Xbox One, you must have an Xbox Live Gold account to play Campaign Co-Op via Xbox Live or Multiplayer Modes online. On Windows 10, an Xbox Live Silver or Gold account provides access to all online features. What counts towards my 10 hour Game Trial limit? As soon as you start Gears of War 4 from the Xbox Dashboard or the Windows Store, your Game Trial Time begins ticking down. To make the most of your Game Trial limit, we strongly recommend fully closing the application when not playing. Suspending the application, pausing, being on menus or otherwise will still count towards your Game Trial limit. What happens if I choose to upgrade? As the Game Trial is delivered as a full download of the game, you'll get instant access to the entire game the second you complete your purchase. You can continue right where you left off. What happens to my Saves, Cards, Progression and so on if I decide not to purchase yet? Other than limited access to campaign and a time limit, the Gears of War 4 Game Trial is the full game. Your Saves, Multiplayer Progressions, Cards, Achievements and more will be saved whether you decide to purchase the game now or later. Can I only matchmake or play with other users on Game Trial? Nope! The Gears of War 4 Game Trial is a full download of the game, with limited Campaign Access and a 10 hour Game Trial time limit. You can play Co-Op Campaign, Horde or Versus with friends regardless of if they own the game or are in Game Trial, though you will still be blocked from progressing past the available Trial Chapters in Campaign.